Born in 1924, the botanist Seymour Shapiro studied at Brooklyn College and the University of Michigan. After positions at Brookhaven National Laboratory, where he worked on the peaceful uses of nuclear energy, and the University of Oregon, Shapiro was recruited to UMass in 1964 to become head of the Botany Department. A specialist in radiology and the physiology of higher plants, he served as acting dean of two colleges during his time at the university and was one of the administrators credited with reducing tensions during the student unrest in the spring 1970. A recipient of the University Medal for Outstanding Service (1973) and the Distinguished Teaching Award (1984), Shapiro retired in 1990. He died in Henderson, Nev., on March 24, 2016, at the age of 92. The collection contains the professional correspondence, miscellaneous papers, photographs, scrapbooks, and realia of former UMass botany professor Seymour Shapiro. Graduating from Harvard in the thick of the Great Depression, Arvo A. Solander worked as a civil and sanitary engineer for a variety of state and federal agencies, including the Civil Works Administration and the Civilian Conservation Corps. During the 1930s, as opportunity arose, he filled positions as a road engineer, in the design and construction of water and sewage plants, in pollution control, as a safety engineer in the shellfish industry, and in mosquito control, taking jobs throughout Massachusetts and as far away as Tennessee. After using his talents as an officer in the Sanitary Corps during the Second World War, based primarily in Arkansas, Solander returned home to Massachusetts and opened a private engineering office in South Hadley. He worked as a civil engineer and surveyor until his death in January 1976. The Arvo Solander Papers consists of twenty-four bound volumes documenting thirty years of varied work as an engineer, including his contributions to the construction of the Quabbin Reservoir. Within the bound volumes are a wide range of reports, typescripts, sketches and diagrams, graphs, contracts and design specifications, photographs, and postcards. The research interests of Professor of Botany Otto Stein lay primary in the morphogenesis of higher plants, the effects of chemicals on cell deformation, and the development of apical meristems. 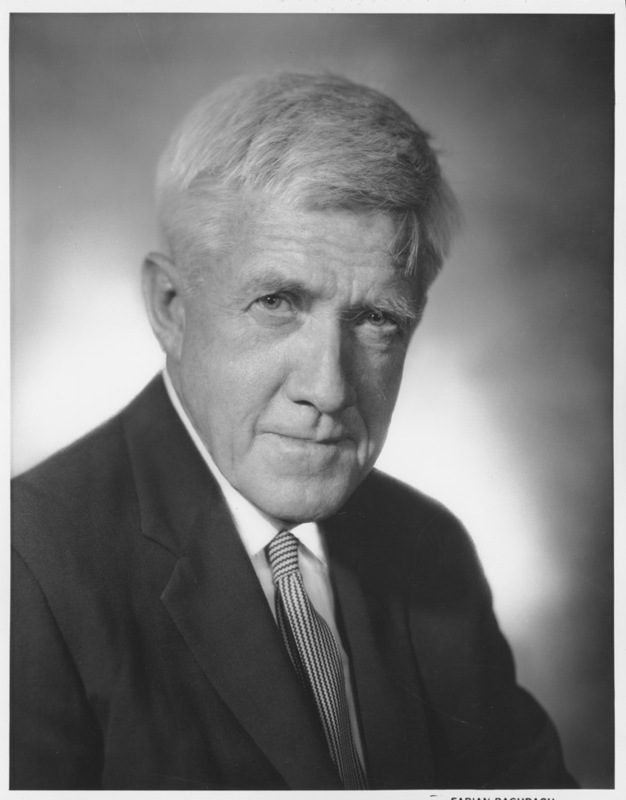 After receiving his doctorate from the University of Minnesota in 1954, Stein accepted a position at the University of Missouri, before coming to UMass in 1964, eventually becoming chair of the department. He left Amherst briefly to pursue a NATO Senior Research Fellowship at Imperial College in London, England (1971-1972), and remained active in the field until his retirement in 1990. The bulk of the Stein collection is comprised of lecture notes on plant anatomy and reprints of Stein’s articles. A visionary of modern wind power, Forrest “Woody” Stoddard was a graduate in aeronautics from MIT (BS, 1966; MS 1968) and an early member of the UMass Amherst “wind power mafia.” After service with the Air Force, Stoddard returned home to Amherst, Mass., in 1972 to pursue a doctorate in Ocean Engineering and to take part in the emerging field of alternate energy. Joining the vibrant, interdisciplinary group at UMass gathered around William Heronemus, he began a dissertation in wind turbine dynamic analysis (1979), earning selection as lead developer of the famed 25kW Wind Furnace 1 (WF-1) turbine. 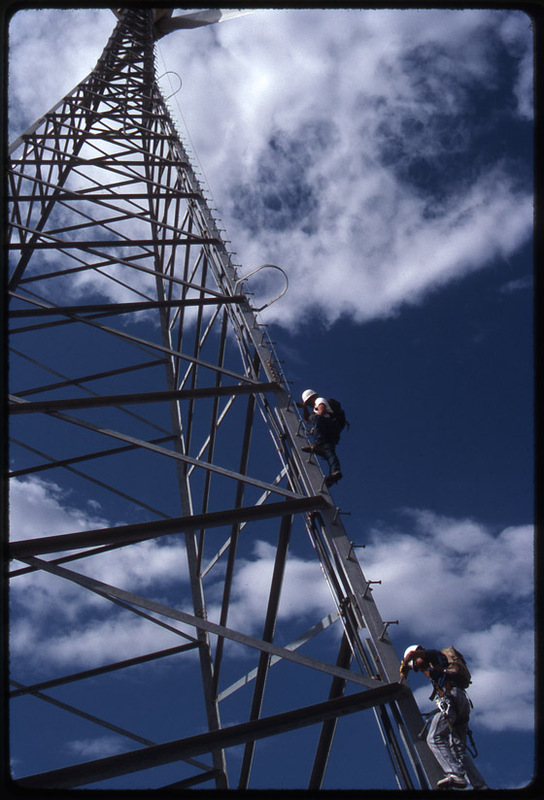 To carry research into practice, Heronemus, Stoddard, and other UMass graduates joined US Windpower (later Kenetech), the country’s first producer of large wind turbines and promoter of early wind farms. A tireless advocate for wind power and alternative energy, Stoddard was highly regarded as a researcher but also as a teacher and mentor of a generation of engineers who populate the industry. Nearly coincident with his untimely death on Jan. 25, 2007, the American Wind Energy Association awarded Stoddard its Lifetime Achievement Award. As a participant in the early years of the wind power group at UMass, Stoddard’s papers offer insight into an engineer’s experiences in the fitful growth of the wind power industry. The collection is rich in engineering data on turbine dynamics and other aspects of wind power and the extension of academic research into the nascent wind power industry, and it includes an interesting array of both personal and professional photographs and correspondence. Professor of Botany, Massachusetts Agricultural College. Correspondence, lecture notes, reports, notes on experiments, drawings depicting original apparatus, scrapbooks of printed botanical illustrations, student papers, genealogies, memorabilia, and photographs; together with papers reflecting administrative and official duties; correspondence, notes, and news clippings on psychic phenomena; and autobiographical notes, including reflections on Massachusetts Agricultural College and on Emily Dickinson. John D. Strong was a professor of Physics and Astronomy from 1967 to 1975 and served as the head of the laboratory of astrophysics and physical meteorology. Strong, one of the world’s foremost optical scientists, was known for being the first to detect water vapor in the atmosphere of Venus and for developing a number of innovations in optical devices, ranging from improved telescope mirrors to anti-reflective coatings for optical elements and diffraction gratings. Born in Riverdale, Kansas in 1905, Strong received degrees from the University of Kansas (BA 1926) and the University of Michigan (M.S., 1928, Ph.D., 1930). After twelve years at CalTech and wartime research at Harvard on infrared systems, Strong became professor and director of the Astrophysical and Physical Meteorology Laboratories at Johns Hopkins University in 1946, where, among many other projects, he conducted research on balloon astronomy for the Office of Naval Research (ONR). Strong published hundreds of papers throughout his career and was author of Procedures of Experimental Physics, a standard physics textbook for many years. Strong served as president of the American Optical Association in 1959 and patented numerous inventions for optics in spectroscopy as well as golf (see US Patent no. 3720467). Strong passed away in 1992. The Strong Papers contain forty years of research notebooks in experimental physics (1930-1970) centered on Strong’s years at Johns Hopkins (1946-1967), along with correspondence, printed publications by Strong for the ONR, and manuscripts for several textbooks (though lacking material on Procedures of Experimental Physics). Strong’s balloon work is documented by diagrams in his lab books and photographs of the Stratolab at John’s Hopkins, and an oral history of his life was made by the Smithsonian’s National Air and Space Museum in 1985, a transcript of which is included in the collection. A leading researcher on communication and social behavior in termites, Alastair MacDonald Stuart (1931-2009) was born in Glasgow, Scotland in Jan. 4, 1931. After study at Glasgow University and the University of Auckland, he entered Harvard to study entomology under E.O. Wilson, completing his dissertation, Experimental Studies on Communication in Termites, in 1960. Among the early students of the role of pheromones in termite communication, Stuart held appointments at North Carolina State and Chicago before joining the faculty of the Department of Biology in 1970, where he remained until his retirement in 2004. The Stuart Papers document the career of the entomologist, Alastair Stuart, from his days as a graduate student at Harvard through his long tenure at UMass Amherst. The collection includes a full range of correspondence, manuscripts, and research notes, with some documentation of his teaching responsibilities.